What Size Crochet Hook Is Needed for a Rag Rug? What Size Crochet Hook Do I Need for Making a Rag Rug? Are you interested in crocheting a rag rug but unsure about what size of crochet hook you will need? For this colorful crocheted rag rug, a size N - 9.0 mm crochet hook was used. That's just one example of a possibility you could try. There isn't a single correct answer to the question. Fabric strips and their characteristics: Particularly consider the width and thickness of the fabric strips, but the stiffness or softness of the fabric might also have some effect. The stitch pattern you're using. How tightly or loosely you crochet. If you're using a pattern, it should suggest a hook size to try and a gauge to work at. You can then make a sample piece to check your gauge, and adjust hook size accordingly if needed. If you're not planning on using a pattern for your rug-making adventure, start with a large hook and crochet a small sample piece with it to see how it goes. You can then adjust accordingly if you aren't happy with your results. When purchasing a crochet hook based on a recommendation from either a pattern or a friend, it's a good idea to use the measurement stated in millimeters, rather than the letter given for the US hook size. The reason is that one manufacturer's "size N" could be another manufacturer's "size M," just for example. 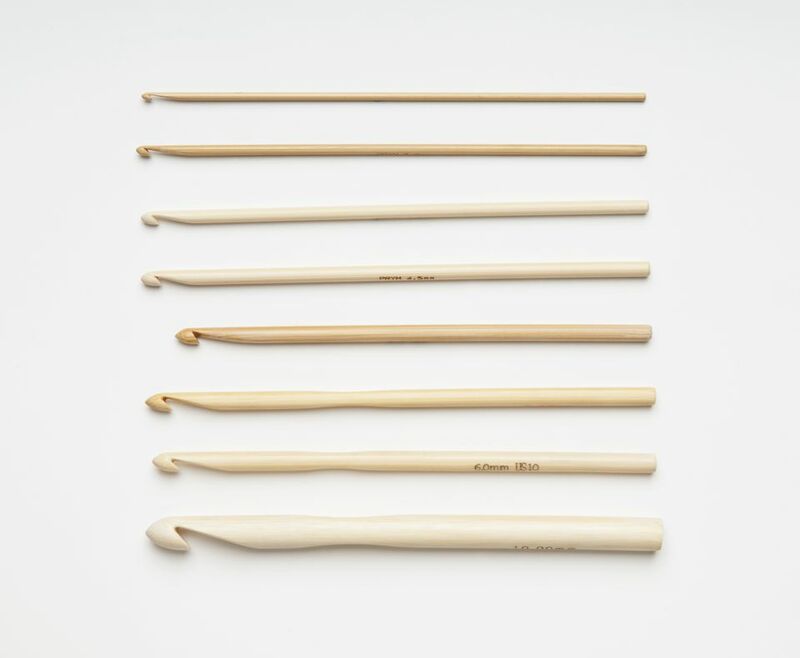 Hook sizes are not necessarily standardized between manufacturers, and this is particularly true of larger-sized crochet hooks. The measurement in millimeters is a more reliable indicator of the hook's actual size. Even so, differences in hook shaping can translate to differences in how your crochet work will turn out. See how your choice of crochet hooks can influence your gauge for example. You are invited to try any of these free rag rug crochet patterns for making your own crocheted rag rug. You can turn those old t-shirts and other rags into useful and beautiful rugs. Keep in mind that you don't always need a crochet pattern to make beautiful rugs. You could also do a freeform crochet rug and let your creativity run wild. Be inspired by the colors and fabrics you have available. Crocheting a rag rug takes a lot of fabric and time. For anyone who doesn't have enough fabric or enough patience to make an entire rag rug, see the fabric crochet patterns for smaller projects that require much less of a commitment in time and materials than a rag rug requires. These include bags, purses, necklaces, and coasters.